Keep yourself hydrated in style with your own personalised Bolton Wanderers Retro Shirt Water Bottle. 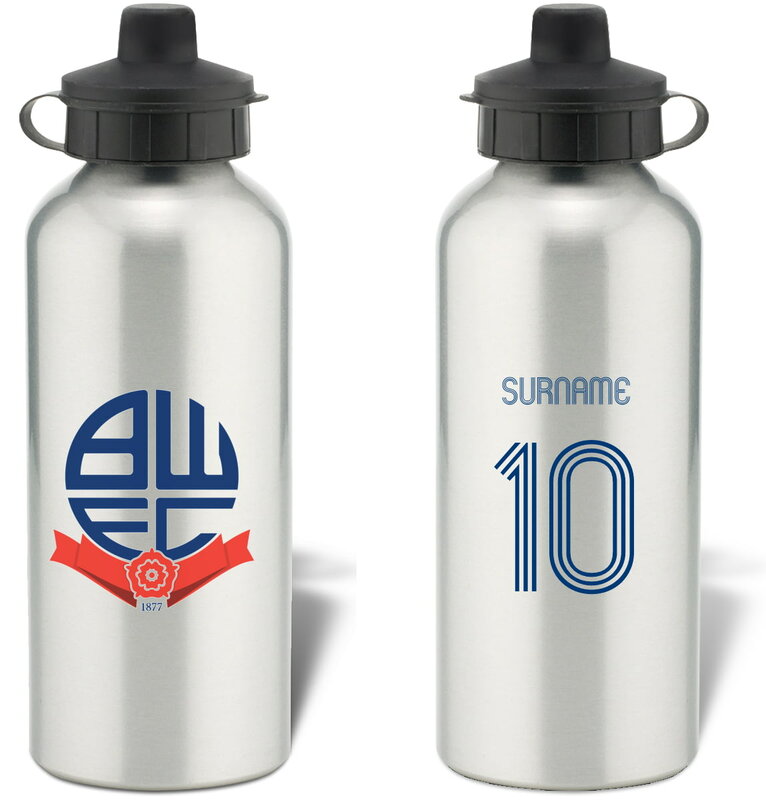 Keep yourself hydrated in style with your own personalised Bolton Wanderers FC water bottle. Keep yourself hydrated in style with your own personalised Bolton Wanderers Evolution Water Bottle. Keep yourself hydrated in style with your own personalised Bolton Wanderers Subbuteo Water Bottle. Keep yourself hydrated in style with your own personalised Bolton Wanderers Bold Crest Water Bottle.